Will California Bill Help Eliminate Low-Ball Job Offers? Asking the salary history of job applicants may become a banned question, but employers could be required to publish hiring rates and stick to them. This innovative intended regulatory intervention in recruiting practices is a pay equity initiative by (of course) the state of California. Assembly Bill 1017 (by Nora Campos, D-San Jose), the pay equity law proposed in February 2015, would ban employment advertising that demands salary history from job applicants, and, it would require the minimum applicable hiring rate to be both published and paid or exceeded. At first, I didn’t dream this idea would survive for long. But the bill is advancing successfully right now. This may be serious stuff, with broad implications for HR. I really don’t expect it to pass, but it clarifies the growing public annoyance at the systemically discriminatory effects of low-ball job offers that have disproportionate adverse effects on protected classes. Women are particularly vulnerable to the negative consequences of modest pay histories. Initial comments about the implications have barely scratched the surface. It could discomfit recruiters but would please applicants. Requiring the employer to share its pay promises should not bother compensation types at all. For Employment Recruiters, searches may become more laborious when pay history can no longer be used to swiftly discard applicants. Recruiters will have to work harder, interview more applicants and apply fewer heuristic exclusion tools — so the process of elimination will become more difficult. Fewer people will offer themselves as candidates when the real pay rates are no longer hidden. It will end the status quo that now favors recruiters; they can tailor their referrals towards those applicants with the highest earnings expectations, hoping to pressure the hiring managers to force HR to raise the offer rates, making their searches easier, winning more acceptances and generating higher rewards for headhunters. 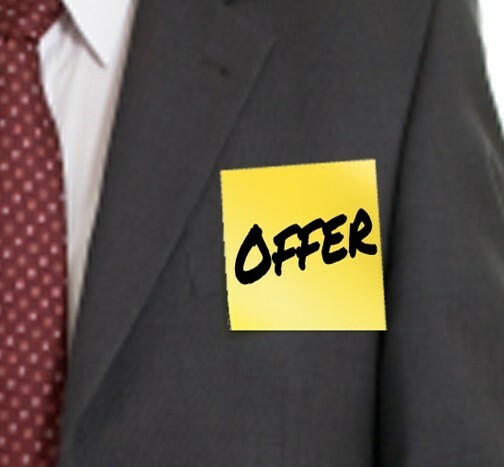 It’s harder to recruit people when dangling a low offer than a generous one, and this rule would hang your dirty laundry out for all to see. For Applicants, clear and actual (rather than unrealistic, theoretical) pay expectations will be published. Job seekers can search more efficiently, without wasting time or having their hopes dashed unnecessarily and painfully. Better to quickly learn that job is not worth landing rather than suffer a constant drain of your enthusiasm as you dedicate precious time and money in a losing cause. If a job opening won’t pay enough to be minimally acceptable, there is no sense in pursuing it. The sooner job-seekers stop chasing worthless openings, the more effectively they can preserve their dwindling optimism. For Compensation Managers, well, for a change, government becomes your ally! The external law will force the enterprise to abide by your internal rules. Compensation need not engage in endless contentious battles with recruiters and powerful hiring managers. No longer will others be able to override your carefully crafted entry hiring rates. The legal requirement to play fair according to your own rules will also strengthen the rigor of your policy standards, giving greater import to careful studies of external competitiveness and internal equity. Any change to hiring rates will be publicized, thus becoming transparent to current incumbents and easing the otherwise frequently deferred pay reclassification and adjustment procedures. Hiring at any “new higher rate” will compel immediate group adjustments. Yes, it will cost more money in the short-term, but it will save all the inevitable long-term costs from a loss of morale and diminished motivation when companies drag their heels doing what is right. Instead of peers being disgruntled over the hire of a new associate at a higher pay rate, they will rejoice at the ripple effect that raises the grade floor for all of them. A new California state law could (in this case, at least) shift the responsibility for compensation policy enforcement. It would make compensation administration much more important — and a lot easier. E. James (Jim) Brennan is Senior Associate of ERI Economic Research Institute, the premier publisher of interactive pay and living-cost surveys. Semi-retired after over 40 years in HR corporate and consulting roles throughout the U.S. and Canada, he’s pretty much been there done that (articles, books, speeches, seminars, radio/TV, advisory posts, in-trial expert witness stuff, etc. ), and will express his opinion on almost anything. Contact him at ej.brennan@erieri.com.